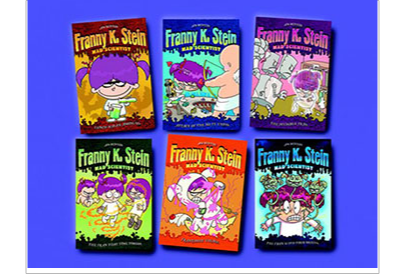 You can order Franny Books at Amazon.com and Bentonbooks.com. 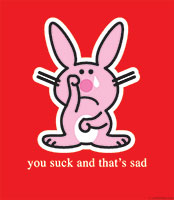 Click here to go have a look. 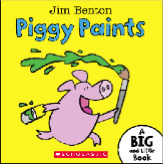 "Mr. Benton's intellectual properties…have made him stand out in an industry dominated by big entertainment companies." 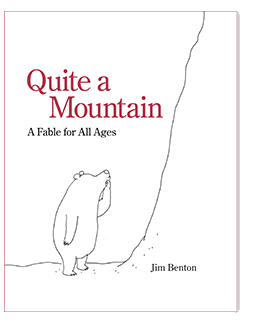 All material © and/or TM Jim Benton. No use permitted except with written permission. 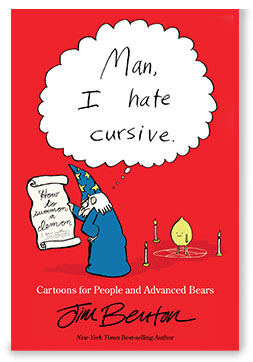 The National Cartoonist Society awards Jim Benton both a 2011 and a 2015 Reuben Award in the category of greeting cards! Jim nonchalantly flips one over to read the price on the back. New Catwad and jOkObO skins available! 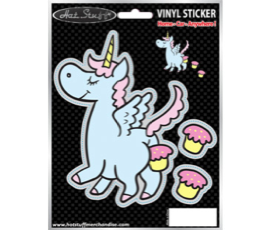 Click here to order your favorite designs from DecalGirl. A recording of the Scholastic webcast is available now! 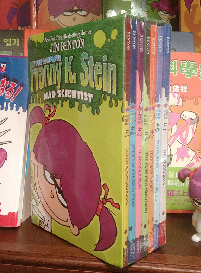 8 Book Box Set is available at Amazon! 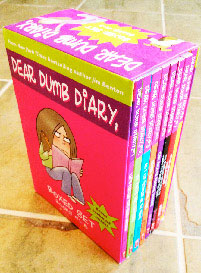 7 Book Box Set is available at Amazon! Signed Poster Prints are available now! 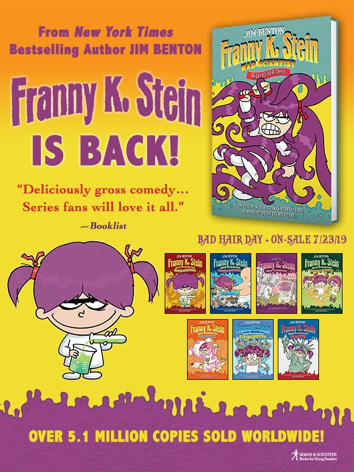 Nice write up in Publishers Weekly! The End (Almost) is here! won a NAPPA gold award! 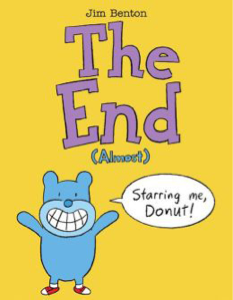 The End (Almost) has also been added to the list of books your child should hear before kindergarten! Check out a review video from a fan here! 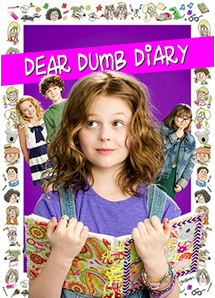 Dear Dumb Diary is on Amazon! You can watch it on Amazon now! 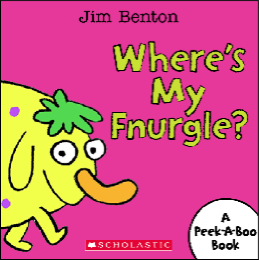 Where's My Fnurgle? 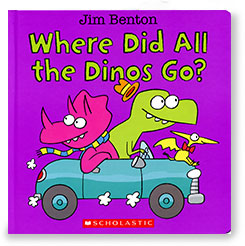 and three other board books are available now. 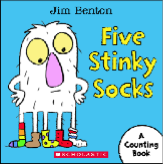 New Books for 2-4 Year Olds! Follow Jim's comics and cartoons on GoComics! 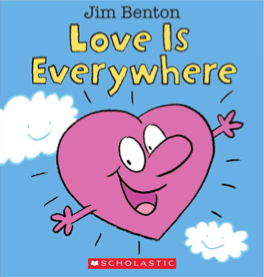 The newest board book is here! 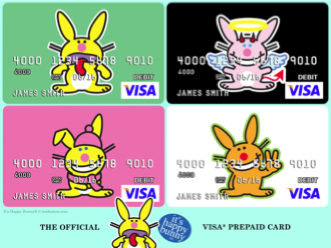 Check out a great write up about It's Happy Bunny at MTV. The new deluxe book is here (and in full color)! 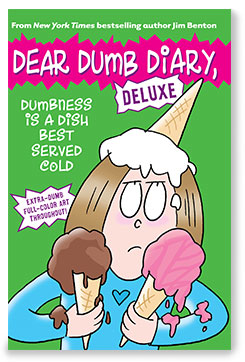 Order your copy of Dear Dumb Diary, Dumbness is a Dish Best Served cold, today! 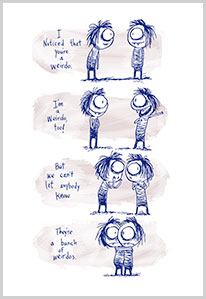 A whimsical journey of self-discovery, as well as a gentle look at the ups and downs of friendship, this book features elegant art and gentle humor. You can order it at Amazon, Barnes & Noble, Target, or your local indie bookstore. You can order it at Amazon, Barnes & Noble, Books-A-Million, Target, or your local indie bookstore. 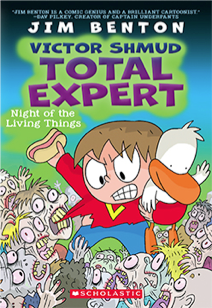 The NEW Victor book is available now! Check out this great podcast review from Daddy Mojo. Email for information on Licensing. 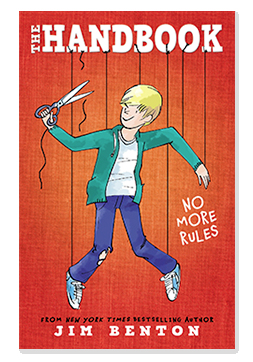 Kirkus Reviews says "It's sketch-comedy nonsense, but preteens will be onboard immediately and asking for the next volume at the close of this short collection." 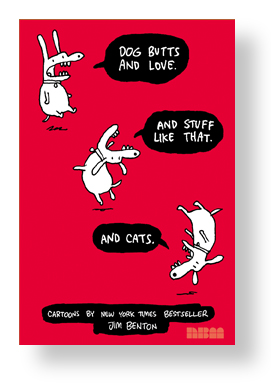 New posters available at Poster Foundry! 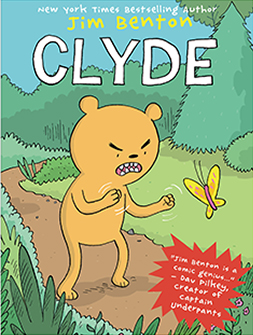 The Bulletin for the Center for Children's books says its "goofy humor" and "lively dialogue" is "a particularly effective choice for reluctant readers and class clowns." 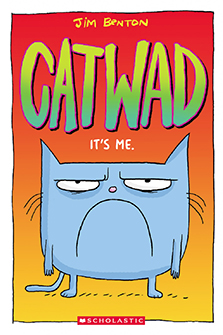 Publisher's Weekly likes "the humorous prose and bright illustrations" and says that "younger readers in particular are sure to enjoy Catwad and Blurmp's friendship." 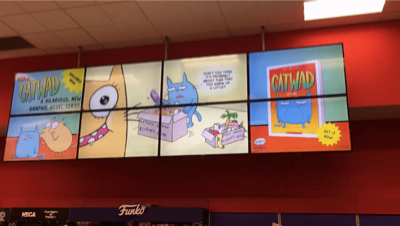 Hey who's that up on the video wall at Target? 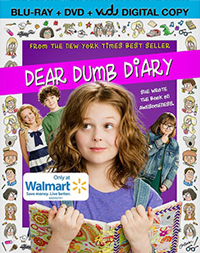 You can buy the DVD at Barnes&Noble and order the soundtrack (or movie) on iTunes, today! 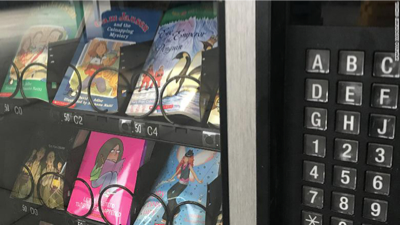 The American Librarian's Association chose an It's Happy Bunny Book as one of their TOP PICKS for teen readers! THREE TIMES!